Good morning everyone! 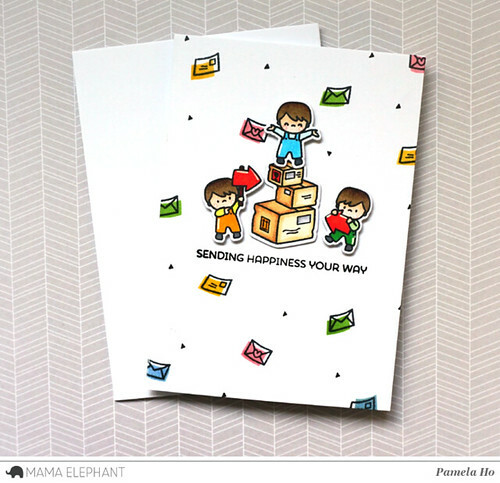 This is Pamela over at Mama Elephant's blog with a project using Little Boy Agenda. I created a similar card for my Spooky stampede but I wanted to show you here step by step as to how I did the background. First and foremost: colouring! 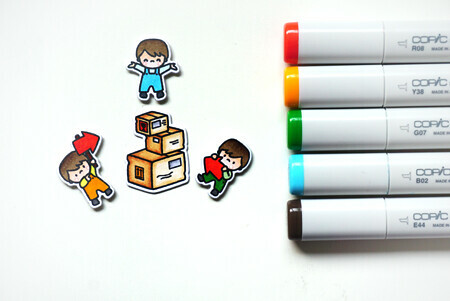 I stamped out these cuties and coloured them with my copics. 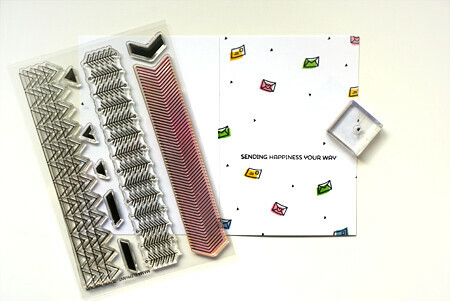 Then, I stamped the little envelopes from Incoming Mail all over the card base as well as onto a piece of post it. I used my craft knife to cut out the envelope for the masking. 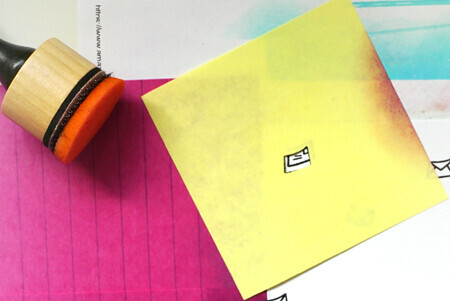 When you position the post-it for blending, you can offset it a little to the left/right/top/bottom. After the blending, remove the post-it and here you have it! A perfect offset shadow! 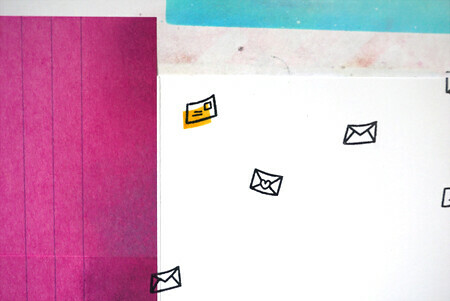 After I have finished colouring the rest of the envelopes, I took the smallest triangle from the stamp set Zenith Borders and stamped it in between the empty spaces. And here you have it! A very simple background! Insanely in love..shouldn't be online at all but had to stop to comment! Awesome. 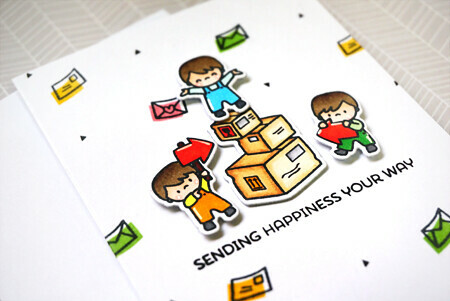 Such an imaginative way to use the stamps.